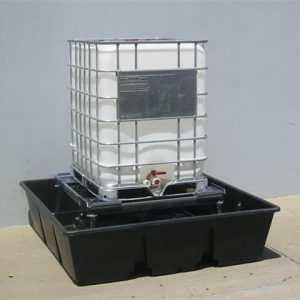 Pros: -Sumps nest together to form a tight shipping unit for larger quantities. -Solid Steel stand can easily be removed for maintenance, or storage needs. -Optional: Heavy gauge steel plates are designed to bolt to the four corners of the platform to prevent the IBC/Tote from shifting off the surface.